My very supportive wife and I pursued our options where I could study chiropractic and at the tender age of 40, with the help of a partial scholarship to coach and play rugby, we headed to Palmer College of Chiropractic in Davenport Iowa USA with our three young sons. Nearly all of my lecturers at Palmer had stories of how chiropractic care had miraculously affected their health and/or the health of their family and friends. Over my years in practice I have been blessed to witness my own fair share of supposed miraculous recoveries. Whilst patient’s positive responses are deeply fulfilling, consideration is always given as to whether a patient’s condition may require referral to another health care provider. Our mission is to reach out, embrace and educate through service excellence, modelling a lifestyle and creating an environment whereby those around us can obtain and maintain their God-given potential for optimal health. I am passionate about assisting and encouraging others to be the best they can be for as long as they can be. Our eldest son Joel has also become a chiropractor so he not only provides me with regular chiropractic care but also has provided my wife, Keryn, and I with 3 wonderful grandchildren so far and we just love spending time with them. Apart from my family and my Christian faith, I love keeping fit doing interval training running the hills around Greensborough, working out with a Kettlebell and the occasional run and swim down the beach at Ocean Grove. One other activity that gets me lost in the moment is sailing with Keryn down the Gippsland Lakes in fair weather or foul. I consider myself an excellent listener and hope I get the opportunity to meet you in person and discuss your specific health challenge. Give our Greensborough office a call to see if we can help you take your first step toward better health. 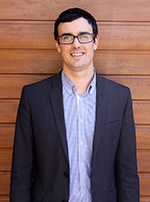 Dr Joel’s practice interests include families, sports injuries, nutrition and rehabilitation. He has an interest in extremity conditions (shoulder, elbows, wrists, hips, knees and ankles) and is experienced in a range of manual (hands-on) low force and massage techniques and is a certified Activator Methods practitioner. 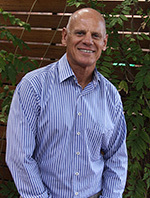 Dr. Joel is a graduate of RMIT University (Royal Melbourne Institute of Technology) in Melbourne (the largest university based chiropractic course worldwide). It is here where he completed a Masters degree in Clinical Chiropractic during which he undertook a research study into the effects of chiropractic treatment on patient’s health and wellbeing. Dr. Joel loves research and enjoys reading about how our body functions as well as what are the most effective methods for getting people better. He is a strong proponent of regular exercise and proper nutrition and is passionate about seeing people make healthy lifestyle choices. By the way, if chiropractic makes as much sense to you as it does to us, we’d like an opportunity to meet you and discuss your options in person. Ring Shambrook Chiropractic today. (03) 9432 8562.